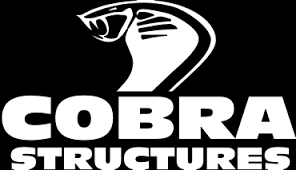 Cobra Structures offers temporary and permanent storage solutions, from Northern Ontario to BC. As an authorized dealer for Calhoun Super Structures, we supply and install engineered fabric buildings. We design, manufacture, sell, and support fleet and fuel management hardware and software for the mining industry. Centralize and automate the management of crucial elements such as fixed and mobile fueling, generators, maintenance & work orders, and real-time asset tracking. Collège Boréal provides a high calibre personalised education to a diverse clientele and it practices community leadership to foster the sustainable development of the francophone community of Ontario. Concept Controls specializes in providing turnkey safety solutions to suit many applications. Whether you require a portable, wireless or a fixed solution for gas detection, industrial hygiene or environmental monitoring, we can help. Consolidated Industrial Products is your one-stop-shop for all of your industrial product needs. We carry a wide array of products and support services for the mining, construction, commercial, transportation and equipment supply industries. Continental Conveyor, established in 1963, specializes in the design, engineering and manufacturing of mechanical bulk materials handling equipment and systems. Continental serves the mining, pulp and paper and aggregates industries as well as many others. Continental’s product line includes belt conveyors, screw conveyors, pulleys, idlers, bucket elevators, vibrating feeders and conveyors, bin activators, en masse chain conveyors, stackers, apron feeders and weighfeeders. Continental also designs and develops complete engineered systems. Cottrill Heavy Equipment is an industry leading truck and body conversion expert. From outfitting Crane and service bodies, to alterations, service and repairs. Cottrill’s delivers your best heavy truck solution, based on a quality build every time. Creighton Rock Drill Ltd. is a large range supplier of construction, drilling, Ground Engaging Tools and parts. Products include tools for hydraulic demolition and rock drilling as well as a variety of rock breakers and compactors, wear parts and teeth, cutting edges and fasteners. Custom Concrete (Northern) has been producing and delivering concrete and aggregate to residential, commercial, institutional and industrial customers since 1976. We have built a solid reputation over this time by consistently delivering the highest quality products, to specification and on time, along with outstanding customer service.